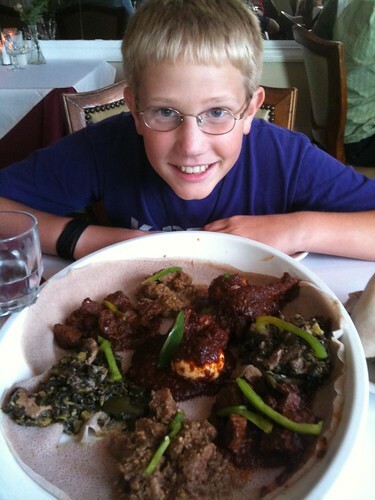 If you’re in the Washington DC area at some point and would like to have a WONDERFUL culinary experience, Alexander and I highly recommend Zed’s Ethiopian Restaurant in Georgetown. We were last able to eat at Zed’s in March of 2008 during the CoSN conference. 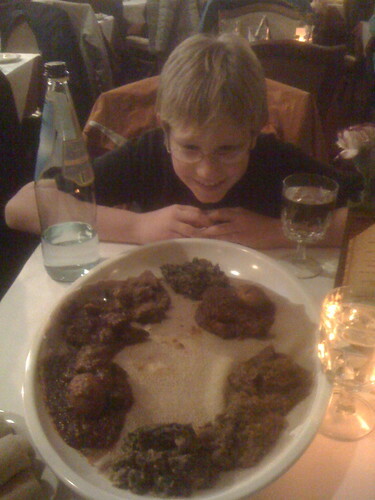 Alexander even let me record a short video about this scrumptious food, eaten with delicious sponge bread!